Bartlett (35) — Madelyn Anguiano 9, Kennedy Crawford 3, Lenerra Gray 3, Toni Green 1, Ashley Payne 11, Teaya Reaves 8. Germantown (57) — Tahrah Bell 8, Cayla Cox 2, Destinee Manning 12, Carrie Smith 8, Kourtney Wallace 2, Tenitra Wilson 10, Karlynn Woods 10, Elizabeth Laboe 5. 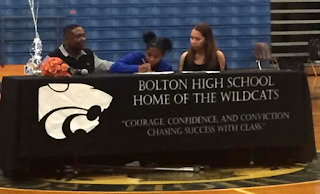 Bolton (35) — Tamia Aldridge 9, Keke Logan 17, CeeCee Craft 4, Amelia Simpson 2, Aliya Lee 1, Tyler Garner 2. White Station (52) — Quiential Battle 14, Damiah Griffin 8, Kyla Harris 3, Zaire Hicks 5, Tamia Jones 4, Taelor Manning 2, Brittni Moore 16. Records — Bolton 0-1, White Station 3-2. Memphis School of Excellence (36) — S. Turner 11, Z. Lee 12, T. Harvey 6, I. Staley 4, K. Magee 3. Westwood (75) — Carleesia Austin 27, Jasmyn Long 11, Patrice Northington 9, Jamira Jenkins 2, Markelia Burton 3, Anicia Clark 7, Ranecia Boyd 2, Ursula Johnson 5, Kasie Shannon 7, Nicole Davis 2. Rossville Christian (32) — Madison Anderson 19, Brianna Bing 3, Hannah Hurdle 6, Mary Chandler King 2, Alyssa McCandless 2. Westminster (37) — Leah Campbell 2, Emily Carney 5, Clara Halford 4, Ashton Storey 24, Elizabeth Anne Hickman 2. Records — Rossville Christian 2-3, Westminster 4-0. MBA (32) — R. Curtis 5, A. Rucker 2, S. Gillard 3, K. Rucker 14, A. Hopkins 8. Washington (45) — Carnesha Griggs 11, Derrenisha Jackson 18, Asia Mosley 12, Kaylen Perkins 1, Hermeisha Perkins 3. Northpoint (60) — Ashtyn Baker 9, Lauren Gross 24, Hannah Shafer 2, Jade Wells 12, Lindsey Whiteside 13. St. Benedict (27) — Benise Duhart 2, Kristina Ferris 5, Lily Gleneck 11, Myah LeFlore 7, Lauren Neuhoff 2. Records — Northpoint 3-1, St. Benedict 2-3. Hillcrest (18) — Meghan Johnson 2, Kadeeja Patterson 8, Alista Williams 2, Ke’Andrea Dabney 2, Tracilla James 2, Annitre Jackson 2. Mitchell (83) — Vertonia Bady 23, Miata Borders 3, Tashun Bryson 10, Demiya Grandberry 2, Chancey Jackson 2, Kierra Lee 6, Kiara McCollins 7, Ravann Rogers 8, Derinisha Taylor 22. Records — Mitchell 5-1 (1-0, 16-A). Tipton-Rosemark Aca. (51) — Kallie Alexander 7, Jordan Allen 6, Brittany Hall 1, Megan Sanfratello 25, Neely Turner 2, Abby West 10. Magnolia Heights (41) — Hannah Gaines 9, Lindley Gaines 24, Lee Jackson 1, Avery McIver 3, Ann Ragan Sandridge 2, Lizzie Jackson 2. Records — Tipton-Rosemark Aca. 3-1. City University (41) — Taylor Allen 2, Miracle Gober 5, Grace Hearns 3, Acacia Phillips 14, Jada Smith 4, Kenya Wilson 6, Makayla Stout 2, Jalecia Cowan 5. MAHS (47) — Alexis Davis 9, Tierney Echols 8, Joi Gary 14, Kaithyn Hunter 1, Venesha Jett 5, Christinna Owens 10. Records — MAHS 3-1 (1-0, 16-A). East (59) — Jamiya Bell 9, Shaquala Brown 1, Kayla Freeman 22, Jaylin Perry 12, Jakayla Robinson 13, Radarika Washington 2. Hutchison (49) — Kaia Barnett 15, Kerrigan Braxton 6, Eleanor Campbell 5, Carmyn Harrison 4, Macy McCullough 8, Madison Moore 4, Maddie Prather 7. Records — East 4-1, Hutchison 3-1. Central (75) — Eva Bailey 2, Brianna Cook 13, Kailyn Downs 5, Kynadi Kuykendoll 12, Ariel Lane 6, Faith Rodgers 4, Johne’ Stewart 8, Jireh Washington 17, Bionka Massie 4, Charity Balfour 2, Montyria Bennett 2. Haywood (52) — K. Benton 3, T. Benton 4, L. Calloway 7, S. Glover 5, J. Shutes 25, Perry 8. Fairley (9) — Dahja Caspillian 7, Tamaya McAdory 2. Harding (60) — Jacaila Davis 10, Alexandria Ellis 8, Sage Hawley 2, Hadley Horner 3, Antoinette Lewis 21, Carley Rhoads 12, Nicole Savage 4. Noteworthy: They have good young guard play and size/length inside with Chattanooga signee Rochelle Lee. They have a balanced attack offensively with defined roles and sharing of the ball… Good defensively with nice pressure all around… Cannot fail to mention the fresh PINK LEBRON SOLDIER 10’s they were all wearing. Noteworthy: Best individual performance may have come from Mississippi State signee Myah Taylor on Friday.. They have good guard play and a nice anchor inside with 2018 Katie Blackmon. They like to press and speed up the game and went on some impressive runs. Houston is a relatively young group as well. Despite the youth, Houston is loaded with Division 1 players. Jayla Hemingway led the way in scoring in both games for Houston, but is also surrounded with a host of D-1 guards in '17 unsigned senior Shaela Gardner as well as '19 Madison Griggs and '20 PG Destiny Wells. UT-Chatt. signee, Rochelle Lee, held her own in the post throughout both games. Houston is one of the top teams out of Memphis this year and could very easily represent the west part of the state at the state tournaments. White Station found themselves in an uphill battle against a great Hamilton Heights team the first night, but bounced back the second day and gave Norcross all they wanted. Although White Station dropped both games, the big game experience they received could be beneficial in the long run. White Station had the most consistent play from UT-Martin signee, Zaire Hicks. Hicks was very competitive in both games and more than held her own. '18 Brittni Moore played very well against Norcross en route to an 18 point performance. She showcased her strength to score the ball around the bucket, and also knocking down the 3-ball. White Station also has '17's Taelor Manning, Kyla Harris, Kayla Bradley and Tamia Jones, who are uncommitted seniors that will all play college ball. Olive Branch picked up two convincing wins this weekend. Mississippi State signee, Myah Taylor, did her usual going for 30 in the first game and 16 in the second game. She also had help at the guard position from '18 Mahogany Vaught and '20 Endya Buford. Vaught is an under-recruited guard that D-1's should be inquiring about. She played solid basketball over the two days. Buford looked best in the second game as she went on a tear of scoring points, making great passes, and being a stingy defender. '18 Katie Blackmon also contributed with rebounds and points in the post position. East (63) — Jamiya Bell 3, Kayla Freeman 30, Jaylin Perry 22, Japerria Robinson 4, Radarika Washington 4. Kirby (50) — D. Jackson 13, B. Buntyn 10, J. Walton 18, A. Jackson 9. Records — East 3-1, Kirby 0-3. Wooddale (39) — Terrika Hunt 2, Tarsha Ivory 11, Takayla Roach 17, Briana Williams 2, Brianca Williams 6, U’Miya Burnett 1. MASE (33) — Kayla Foster 2, Crystal Henderson 4, Rebekkah Mitchell 11, Shernika Spencer 6, Precious Stornes 10. Trezevant (63) — Sachmere Bougard 1, Richara Cooper 4, Quinterria Foster 3, Sade Hudson 43, Emma Jackson 6, Brandy Shannon 6. MBA (60) — R. Curtis 8, A. Rucker 9, S. Gillard 6, K. Rucker 21, A. Hopkins 16. Records — Trezevant 2-0, MBA 0-1. NEACHE (44) — E. Mathis 13, K. Woodham 3, S. Wallace 8, A. Griffin 7, L. Noble 3, A. Allen 4, G. Allen 6. Rossville Christian (21) — Madison Anderson 11, Kelsey Bizzell 3, Hannah Hurdle 2, Mary Chandler King 5. Records — Rossville Christian 2-2. East (33) — Jamiya Bell 1, Shaquala Brown 4, Kayla Freeman 11, Jaylin Perry 5, Radarika Washington 4, Naterra Young 1, Japerria Robinson 2, Jakayla Robinson 5. Central (61) — Brianna Cook 14, Kynadi Kuykendoll 10, Johne’ Stewart 11, Jireh Washington 17, Kailyn Downs 3, Faith Rodgers 2, Brittney Ivory 1, LaTerrica Black 3. 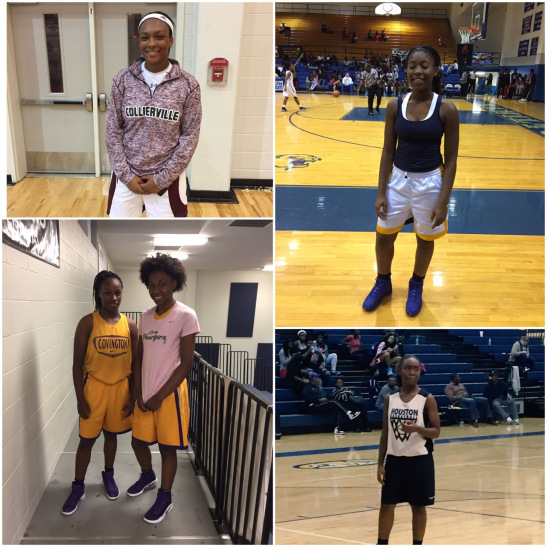 Southwind (56) — Kesala Allen 11, Jamyria Bolden 2, Yataria Coleman 20, Kyra Hammond 2, Kira Lowery 14, Dazae Marshall 5, Matti Patton 2. Briarcrest (61) — Taylor Clemons 19, Anne Marie Hays 4, Caitlin Hunt 3, Morgan Hunt 23, Savanna Owens 3, Brianna Pope 6, Alex Tiatia 2, Alli Clarkson 1. Germantown (32) — Tahrah Bell 3, Destinee Manning 5, Carrie Smith 15, Kourtney Wallace 5, Karlynn Words 4. Harding (47) — Jacaila Davis 4, Alexandria Ellis 5, Hadley Horner 10, Antoinette Lewis 13, Carley Rhoads 9, Nicole Savage 5, Hailey Smith 1. Houston (60) — Melisa Carter 14, Shaela Gardner 10, Madison Griggs 2, Jayla Hemingway 20, Sammiyah Hoskin 10, Rochelle Lee 1, Shannon Sharp 1, Destinee Wells 2. Mays-Ga. (41) — Stewart 33, Bell 2, Mcloud 1, Hill 3, Minshaw 2. 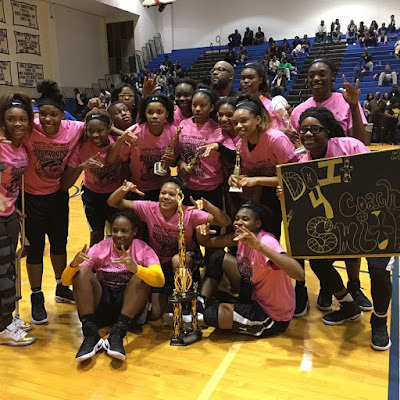 Washington (64) — Treanae Carter 3, Jerrica Crumpton 3, Kaylen Perkins 2, Carnesha Griggs 16, Tranevious Jackson 5, Johnesha Walker 4, Asia Mosley 4, Derrenisha Jackson 27. W.E.B. DuBois (26) — Alexis Acoff 15, Madelyn Acoff 7, Diamond Nelson 4. McDonogh-La. (16) — A. Daggs 3, S. Waterhouse 3, A. Harthorne 4, J. Castile 2, G. Hampton 2, A. Simms 2. Mitchell (60) — Vertonia Bady 18, Maita Borders 14, Tashun Bryson 8, Shakirra Hearn 1, Chancey Jackson 2, Kierra Lee 1, Ravann Rogers 4, Derinisha Taylor 12. 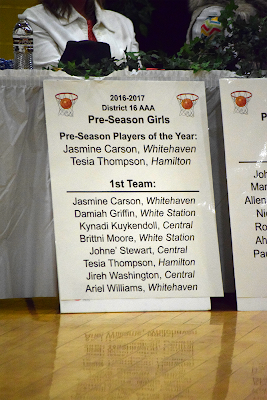 Washington (26) — Treanae Carter 5, Jerrica Crumpton 4, Kaylen Perkins 4, Carnesha Griggs 9, Tranevious Jackson 2, Crushia Wilkes 2. Byhalia (72) — K. Johnson 6, L. Smith 16, T. Powell 2, S. Caradine 10, A. Tunstall 9, L. Martin 6, T. Stephenson 10, S. Mixon 8, Q. Richmond 5. Collierville (33) — Alexis Taylor 7, Trinity Farmer 2, Gabby Harris 4, Destiny Shaw 1, Jada Taylor 3, Kyra Pryor 9, Lauren Taylor 7. Arlington (58) — Taylor Lattimore 8, Christina Nichols 6, Caitlyn Wilson 15, Lanetta Williams 20, Shenobia Stewart 3, Sarah Grandberry 2, Nya Stewart 2, Lanyce Williams 2. Magnolia Heights (35) — Ann Ragan Sandridge 2, Avery McIver 3, Maggie Glosson 2, Lee Jackson 14, Lindley Gaines 8, Hannah Gaines 6. Fayette Aca. (40) — Chloe Burnette 3, Emily Hunt 8, Lauren Lessel 8, Megan McClure 9, Alex Wadley 5, Autumn Gaither 7. Records — Fayette Aca. 2-1. 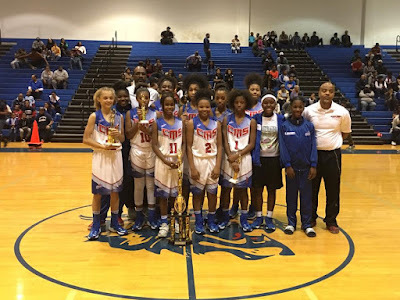 Fairley (42) — Dahja Caspillian 5, Diamond Douglas 20, Denisia Williams 9, Jasmine Melton 8. KIPP (57) — Anterraka Malone 1, Shatera Howard 6, Brianna Brown 3, Bria Brown 18, Destinee Thomas 4, Jocelyn Carr 18, Akia Payton 5, Deshauna Clark 2. Rossville Christian (44) — Madison Anderson 12, Brianna Bing 4, Hannah Hurdle 17, Mary Chandler King 6, Alyssa McCandless 3, Kelsey Bizzell 2. Margolin Hebrew Aca. (16) — R. Brown 4, B. Bosin 6, S. Kahane 4, S. Herzog 2. Records — Rossville Christian 2-1. Hutchison (55) — Kaia Barnett 15, Kerrigan Braxton 18, Macy McCullough 8, Madison Moore 7, Maddie Prather 6, Shade Webb 1. Melrose (28) — J. Carlton 4, D. Wallace 3, J. Miller 6, Z. Watkins 4, B. Johnson 2, J. Spencer 3, K. Johnson 6. Germantown (79) — Tenitra Wilson 11, Kourtney Wallace 9, Janai Williams 2, Kristen Jones 4, Destinee Manning 8, Tahrah Bell 11, Carrie Smith 27, Karlynn Words 7. Millington (28) — Traci Clark 11, Kiara Kemp 2, Marquisha Sanders 9, Eliana Chambers 5, Kennedy Lamar 1. Records — Germantown 1--0, Millington 0-3. City University (47) — Grace Heards 4, Selicia Cowan 1, Tezala Danner 2, Jada Smith 4, Kenya Wilson 3, Miracle Gloser 14, Acacia Phillips 17, Taylor Allen 2. 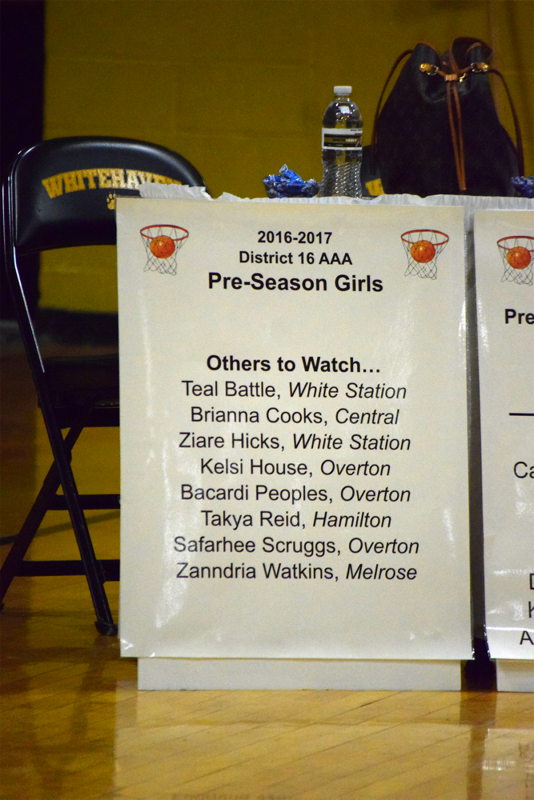 Overton (44) — Jasmine Beason 1, Charnita Brooks 6, Sabrina Harrold 2, Kelsi House 18, Bacardi Peoples 12, Safharee Scruggs 5. ECS (35) — Adrienne Teed 2, Madeline Slater 2, Ava Newhouse 2, Molly Martin 25, Emma Baltz 4. St. Agnes (32) — Olivia Bernston 10, Lauren Lewis 11, Marisa Lewis 1, Caroline Pietrangelo 6, Rachel Siano 1, Amelia Wigley 3. Records — ECS 1-1, St. Agnes 1-2. FACS (36) — Kristen Brooks 2, Katelyn Reed 7, Madison Spain 9, Riley Willard 9, MacKenzie Youd 3, Mallory Ruhl 2, Rachel Nix 2, Emily Delugach 2. Tipton-Rosemark Aca. (47) — Kallie Alexander 2, Jordan Allen 13, Brianna Hall 7, Brittany Hall 1, Megan Sanfratello 13, Abby West 9, Emily West 2. Records — Tipton-Rosemark Aca. 2-1. Power Center Aca. (16) — Sierra Drew 3, Surina Finnie 11, Tatianna Kimber 2. White Station (61) — Kayla Bradley 10, Taelor Manning 3, Kyla Harris 2, Zaire Hicks 11, Brittni Moore 6, Damiah Griffin 6, Tamia Jones 8, Quiential Battle 10, Gigi Ford 4, Israel Collins 1. Records — Power Center Aca. 0-1, White Station 2-0. Westwood (28) — Carleesia Austin 7, Jasmyne Long 7, Patrice Northington 7, Shannon Cassie 7. Wooddale (42) — Tarsha Ivory 12, Takayla Roach 13, Briana Williams 2, Brianca Williams 8, Terrika Hunt 5, Iesha Thomas 2. Records — Westwood 1-1, Wooddale 2-0. Sheffield (63) — Nikita Mays 14, Infinity Robinson 13, Damonike Shipp 12, Cabria Thomas 12, Destiny White 9, K. Wallace 3. Manassas (47) — Latonia Farley 8, Uria Milon 13, Kyla Proctor 8, Starkisha Saine 4, Markeisha Scott 13, Timia Taylor 1. Records — Sheffield 1-1, Manassas 2-1. Helen Cox (58) — Br. Encalade 4, K. Addison 2, M. Phillips 19, T. Martin 20, T. Junior 1, J. Augillard 12. Mitchell (48) — Derinisha Taylor 17, Maita Borders 3, Tashun Bryson 3, Vertonia Bady 19, Demiya Grandberry 6. Records — Helen Cox 6-0, Mitchell 3-1. National Exposure Basketball recently released their State of Tennessee rankings. Houston (79) — Melisa Carter 4, Shaela Gardner 13, Madison Griggs 9, Jayla Hemingway 23, Sammiyah Hoskin 8, Rochelle Lee 2, Shannon Sharp 8, Destinee Wells 12. Bartlett (30) — Lenerra Gray 4, Toni Green 5, Ashley Payne 5, Teaya Reaves 11, Kiya Sidney 3, Molly Word 2. Records — Houston 3-0, Bartlett 1-2. Trezevant (59) — Sade Hudson 14, Emma Jackson 6, Quinterria Foster 12, Brandy Shannon 14, Sachmere Bougard 2, Richard Cooper 11. MAHS (27) — Tierney Echols 6, Joi Gary 6, Venesha Jett 7, Christinna Owens 4, Kayla Shelley 2, Kaithyn Hunter 2. Records — Trezevant 1-0, MAHS 2-1. Magnolia Heights (18) — Ann Ragan Sandridge 2, Avery McIver 8, Julia Pitts 5, Maggie Glosson 1, Addie Billingsley 2. Northpoint (56) — Ashtyn Baker 17, Michaela Brown 3, Lauren Gross 15, Anna Shafer 2, Jade Wells 6, Lindsey Whiteside 9, Gigi Richardson 2, Hallie Goodwin 2. Records — Magnolia Heights 1-4, Northpoint 2-1. Catholic (35) — Zareia Ector 14, Tia Flowers 3, Deyon Gibson 10, Harmony Lucas 2, Cheyenne Smith 2, Shania Smith 4. St. Agnes (31) — Olivia Berntson 5, Lauren Lewis 9, Marisa Lewis 3, Caroline Pietrangelo 8, Lauren Ryan 3, Rachel Siano 3. Records — Catholic 2-1, St. Agnes 1-1. Jackson Christian (53) — Kelsey Rice 22, Sydney Watson 3, Ashlyn Yarbrough 8, Kady Cook 4, Katie Hatch 4, Mattie Jones 5, Rachel Grimes 5, Jessica Cisco 2. Tipton-Rosemark Aca. (40) — Jordan Allen 3, Brittany Hall 6, Eva McIntosh 1, Megan Sanfratello 17, Neely Turner 2, Abby West 5, Emily West 6. Records — Tipton-Rosemark Aca. 1-1. KIPP (40) — A. Malone 9, S. Howard 5, B. Brown 2, Bria Brown 16, D. Gooden 3, D. Thomas 4, J. Carr 1. Wooddale (45) — Tarsha Ivory 13, Takayla Roach 10, Briana Williams 5, Brianca Williams 16, Daysia Wilson 1. Cordova (26) — S. Williams 2, M. Cheatham 2, J. Johnson 4, M. Davis 3, M. Henderson 4, S. Chandors 7, K. Clark 2, L. Caldwell 2. 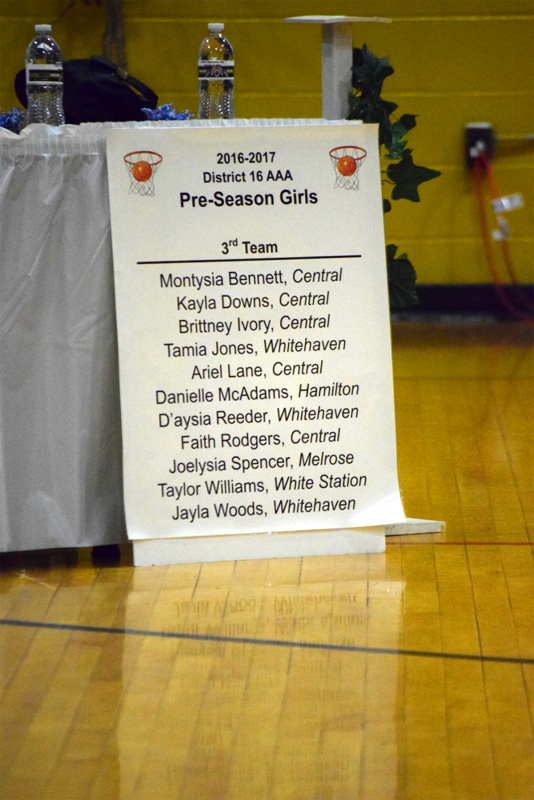 Whitehaven (78) — Jasmine Carson 22, Dontrecia Johnson 8, Shmya Ward 17, Alexus Williams 6, Ariel Williams 16, Bianna Pettis 5, Michael Brown 1, Carmen Reaves 3. 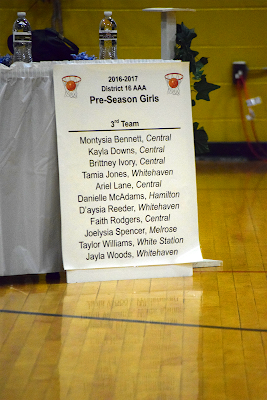 Mitchell (92) — Derinisha Taylor 11, Maita Borders 12, Tashun Bryson 21, Bertonia Bady 11, Demiya Grandberry 12, Kiara McCollins 8, Shakirra Hearn 5, Kierra Lee 4, Chancey Jackson 2, Ravann Rogers 6. NOMMA (18) — A. Wells 15, T. Breland 3. Mitchell (66) — Derinisha Taylor 19, Maita Borders 12, Tashun Bryson 2, Bertonia Bady 15, Demiya Grandberry 4, Kiara McCollins 8, Chancey Jackson 4, Ravann Rogers 2. Cohen (26) — S. Mack 2, J. Ross 10, E. Wright 9, D. Moore 1, S. Sly 2, I. Morris 2. Records — Mitchell 3-0, Cohen 1-1. POPOTV: One of the most effective on-the-ball defenders in the Memphis area Point Guard Dontrecia Johnson talks about overcoming her recent knee injury. I wanted to interview her because not only has she overcome 1 knee injury, but 2 knee injuries. The day I inteviewed Dontrecia another Memphis area player had suffered a knee injury. That made 2 players in the Memphis area with knee injuries within the past 2 months (that I know about). I felt who better to provide an encouraging word to them and others. 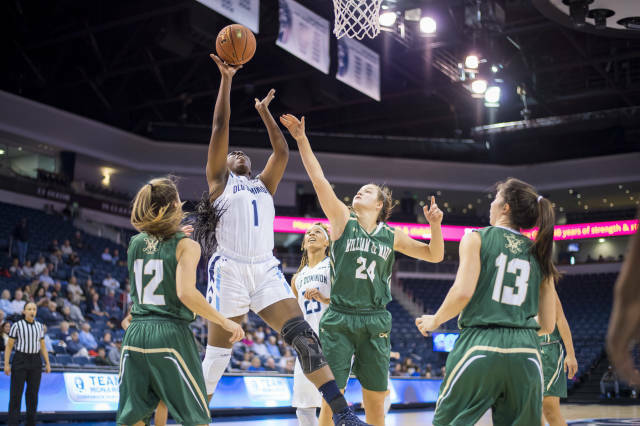 Since interviewing Dontrecia, she has played in 2 games averaging 8.5 points, including 9 points, 4 assists, 4 rebounds, and 3 steals in her first game. ECS (24) — Kate Lyons 1, Adrian Teed 7, Emma Hudson 2, Madeline Slater 2, Ava Newhouse 2, Molly Martin 10. Fayette Aca. (34) — Chloe Burnette 3, Emily Hunt 6, Lauren Lessel 2, Megan McClure 9, Anna Redman 3, Alex Wadley 8, Autumn Gaither 3. Records — Fayette Aca. 1-1. East (63) — Jaylin Perry 18, Naterra Young 2, Alexis Jones 3, Jamiya Bell 12, Radarika Washington 7, Kayla Freeman 17, Shaquala Brown 4. Mitchell (77) — Derinisha Taylor 25, Maita Borders 12, Tashun Bryson 4, Vertonia Bady 27, Demiya Grandberry 7, Kiara McCollins 2. MHEA (58) — Annalissa Burnett 12, Gigi Lewis 2, Kylie Loadholt 20, C. Shoemaker 4, Lindsey Vaughn 20. Briarcrest (38) — Taylor Clemons 4, Anne Marie Hays 6, Caitlin Hunt 10, Morgan Hunt 7, Savanna Owens 6, Hannah Rendall 5. Trezevant (41) — Sade Hudson 23, Quinterria Foster 11, Brandy Shannon 2, Sachmere Bougard 1, Richard Cooper 4. Catholic (44) — Zareia Ector 13, Tia Flowers 15, Deyon Gipson 2, Harmony Lucas 5, Cheyenne Smith 4, Shania Smith 5. Westminster (37) — Emily Carney 6, Ashton Storey 25, Hannah Jordan 2, Clara Halford 4. Macon Road (31) — Allen 1, Fuqua 4, Hope Howlett 6, Emma Lutz 6, Amber Phillips 3, Katie Smith 11. Records — Westminster 3-0, Macon Road 1-1. Hillcrest (21) — K. DeBerry 1, M. Johnson 4, K. Patterson 7, A. Williams 9. Manassas (72) — Latonia Farley 13, Uria Milon 7, Kyla Proctor 18, Starkisha Saine 7, Markeisha Scott 10, Timia Taylor 6, Brittney Windless 5, C. Riley 6. Records — Hillcrest 0-2, Manassas 2-0. Central (51) — Jireh Washington 17, Brianna Cook 14, Johne' Stewart 10, Ariel Lane 1, Kynadi Kuykendoll 6, Eva Bailey 3. Northpoint (50) — Baker 11, Brown 2, Gross 12, Shafer 4, Wells 17, Whiteside 4. Central Baptist (11) — A. Bell 9, R. Fleming 1, Cutshow 1. Rossville Christian (24) — Madison Anderson 3, Brianna Bing 3, Hannah Hurdle 6, Mary Chandler King 2, Alyssa McCandless 10. Records — Rossville Christian 1-1. Millington (24) — Traci Clark 7, Marquisha Sanders 6, Sky Clark 3, Eliana Chambers 5, Kennedy Lamar 3. St. Benedict (61) — Catalina Carrasco 1, Alyssa Denegri 4, Benise Duhart 5, Kristina Ferris 3, Lily Gleneck 15, Myah LeFlore 21, Lauren Neuhoff 10, Katherine Vassallo 2. Records — Millington 0-2, St. Benedict 1-1. Haywood (59) — T. Benton 2, K. Benton 2, L. Calloway 11, J. Shutes 36, S. Glover 6, A. Washington 2. White Station (84) — Kayla Bradley 5, Taelor Manning 2, Zaire Hicks 9, Brittni Moore 24, Damiah Griffin 23, Tamia Jones 13, Alaina Price 2, Quiential Battle 4, G. Ford 2. 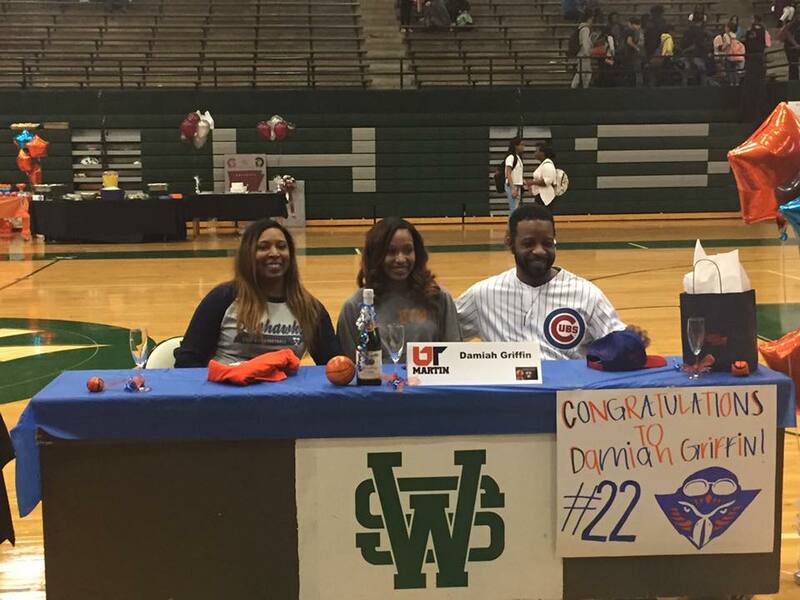 Douglass (37) — Jennifer Fletcher 18, Leauntreast Readus 13, Vekia Richardson 4, Xavier Richardson 2. Fayette-Ware (57) — Jackson 20, Hullom 12, R. Clark 11, Goforth 4, Cole 4, Hudson 2, M. Clark 2, Mitchell 2. 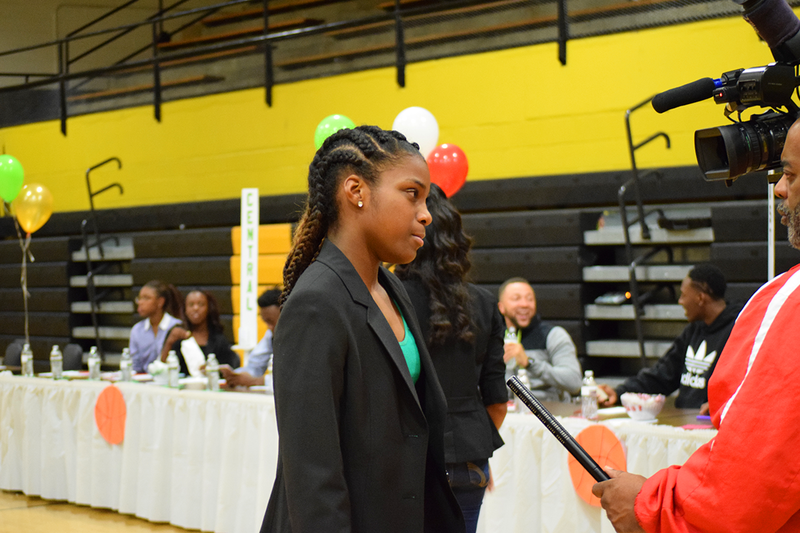 Overton (39) — Charnita Brooks 5, Sabrina Harrold 14, Kelsi House 8, Bacardi Peoples 4, Safharee Scruggs 5, L. Thompson 3. MASE (63) — Kayla Foster 2, Crystal Henderson 8, Rebekkah Mitchell 12, Shernika Spencer 32, Kaila Prince 2, Precious Stornes 2, Kialia Moore 5. Bartlett (45) — Toni Green 10, Teaya Reaves 2, Molly Word 5, Kennedy Crawford 2, Ashley Payne 21, Lenerra Gray 5. Harding (61) — Jacaila Davis 3, Alexandria Ellis 10, Sage Hawley 13, Hadley Horner 10, Antoinette Lewis 23, Nicole Savage 2. Records — Bartlett 1-1, Harding 2-0. FACS (33) — Riley Willard 14, MacKenzie Youd 4, Madison Spain 10, Gabbie White 1, Katelyn Reed 4. Hutchison (66) — Kerrigan Braxton 8, Macy McCullough 7, Jordan Groover 4, Madison Moore 8, Sara Kate Hopper 2, Carmyn Harrison 4, Kaia Barnett 10, Catey Nelson 8, Mary Chapman Morrow 2, Eleanor Campbell 7, Maddie Prather 2, Shade Webb 4. MHEA (69) — Gigi Lewis 2, Annalissa Burnett 14, Kamille Clark 12, Scarlett Guess 8, Lindsey Vaughn 12, Kylie Loadholt 4, C. Shoemaker 4, Gillyann Reed 3, Taylor Thomas 4, Ramila Canthers 6. 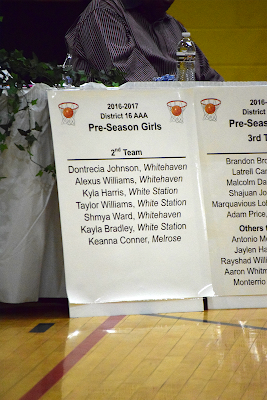 Millington (30) — Sylecia Patterson 1, Marquisha Sanders 9, Kiara Kemp 2, Traci Clark 14, Trevona DeSouza 2, Taylor Payne 2. Records — MHEA 2-1, Millington 0-1. Whitehaven (75) — Ar. Williams 12, J. Woods 3, D. Johnson 9, S. Ward 7, J. Carson 39, Al. Williams 5. Ridgeway (49) — Jamile Hamlett 2, Jessica Kelley 2, Takesia Barnes 16, Secret Brown 6, Elizabeth Dixon 11, Nyja Williams 1, Mericle Half 11. Macon Road (25) — Hope Howlett 6, Emma Lutz 2, Katie Smith 7, Fuqua 1, Amber Phillips 3, Bre Wilson 6. Tipton-Rosemark Aca. (73) — Abby West 20, Brianna Hall 4, Emily West 2, Neely Turner 2, Brittany Hall 6, Megan Sanfratello 11, Eva McIntosh 11, Jordan Allen 6, Kallie Alexander 11. Power Center Aca. 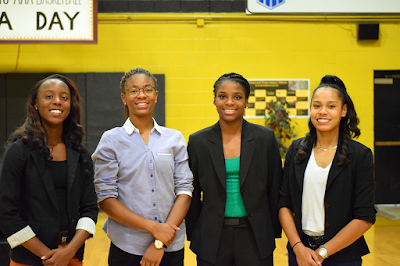 (33) — Surina Finnie 25, Kayla Williams 2, Tatianna Kimber 1, Tatiana Gary 4, Sierra Drew 1. Ridgeway (47) — Jamile Hamlett 7, Jessica Kelley 2, Takesia Barnes 13, Secret Brown 6, Gianna Noel 1, Elizabeth Dixon 18. Records — Power Center Aca. 0-1, Ridgeway 1-0. Sheffield (49) — Cabria Thomas 4, Damonike Shipp 5, Destiny White 2, Infinity Robinson 18, Nikita Mays 20. Southwind (92) — Kira Lowery 26, Yataria Coleman 18, Kesala Allen 8, Shelbee Brown 8, Essence Rankin 9, Matti Patton 2, Kyra Hammond 11, Alize Williams 6, India Wilson 2, Dazae Marshall 2. Records — Sheffield 0-1, Southwind 1-0. Catholic (35) — Z. Ector 15, C. Smith 2, H. Lucas 3, D. Gipson 2, S. Smith 4, T. Flowers 9. Raleigh-Egypt (38) — Britney Johnson 4, Diamond Hunt 6, Shardonney Brown 2, Tasia Bland 7, Ronni Williams 3, Ebone Thurmon 10, Zakyia Head 4, Whitney Smith 2. Records — Catholic 0-1, Raleigh-Egypt 1-0. Manassas (61) — Timia Taylor 12, Uria Milom 1, Brittney Windless 9, Markeisha Scott 8, Kyla Proctor 10, Starkisha Saine 5, Latonia Farley 16. Hillcrest (14) — M. Johnson 1, J. Bachus 2, R. Howard 4, K. DeBerry 4, K. Patterson 3. Records — Manassas 1-0, Hillcrest 0-1. John McGraw of Insider Exposure was in Memphis last week taking the opportunity to attend several events going on. (Memphis) Central – A guard heavy team lead by juniors Johne Stewart & Jireh Washington. They also have super sophomore Kynadi Kuykendoll. Those 3 guards are supremely athletic and gifted with the ball. All 3 can shoot it, and they really get after you defensively. Throw in some depth with sophomore Brianna Cooks and senior transfer Bionka Massie, they have the potential for a great season. The only piece they are missing is some size and rebounding was a problem versus both Ridgeway (Liz Dixon) and MHEA. Collierville – They have 3 Taylors…Lauren, Alexis and Jada. Lauren is unrelated to sisters Jada and Alexis. The 3 are a nice group. Lauren is a 5’9 forward with loads of explosiveness and athleticism. Jada is a shooter who can get hot from the outside and Alexis is a steady PG, who can run a team. They have some depth too and will be poised for a good season, although they lack some star power, especially when they play teams like rival Houston. Covington – Surprisingly to me, and probably others who know the area that a AA school could make the list but Covington has decent guards and are well coached. They also have what many teams in the area don’t, some legit players inside. Lamia Udley is a 6’1 junior and Tia Bland is 5’10 junior and both were new names to me but both can play. I would certainly expect to see them at MTSU the next 2 years in AA. Houston – Without question by far the top team I saw all weekend. They have big time guard play in 2019 Jayla Hemingway, 2020 Destinee Wells, inside play with 2019 Melisa Carter and 2017 UTC signee Rochelle Lee and big time shooters in uncommitted 2017 Shaela Gardner and 2019 Madison Griggs. I would be shocked if they didn’t make a run at states this year and by my estimation have as good of a shot as anyone for a state title next season. MHEA – Putting the ball in the hole can be so underrated in this day and age when we all get so excited over players’ natural abilities and potential. But MHEA does just that, they put the ball in the basket. Central tried to rattle them with nonstop pressure, but they took their time found their shooters (which they have quite a few of), and made shots all night, until finally Central’s speed and defense helped wear them down in the 4th quarter. 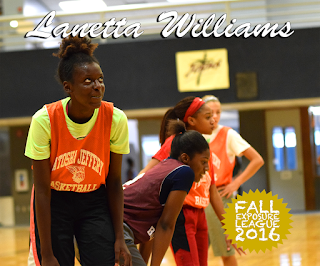 They have a number of players worth mentioning like GiGi Lewis and 2018 Annaliese Burnett. They don’t play in the TSSAA but look for them to win the homeschool national championship, where they are yearly contenders. Tesia Thompson – Hamilton – 5’11 CG/W – ESPN Top 100 player, has an amazing frame, lean and strong with great athleticism and timing. Grabbed a number of rebounds just by tracking the ball on the way to rim then aggressively going to where it was going to end up. Can shoot the 3 ball but it’s somewhat of a set shot. Her motor combined with her frame will help her end up at higher level than she’s currently being recruited (by mostly OVC schools). 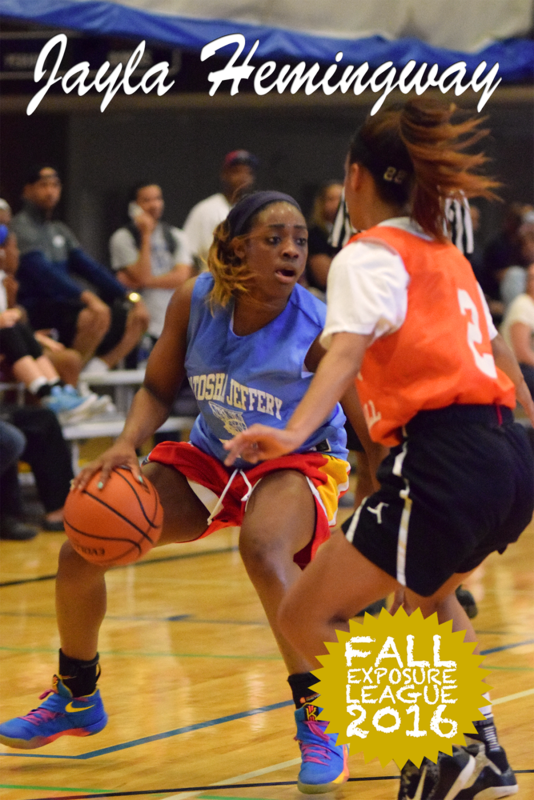 Shaela Gardner – Houston – 6′ SG – Big long guard who can really shoot the 3 ball. Has D-1 game and ability along with the grades. Like many Memphis players just being under recruited and under the radar in general. 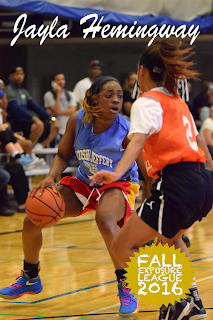 Bionka Massie – Central – 5’8 CG – Super athletic guard who is overly right handed but produces regardless. Struggled both games this weekend but excelled previously at a practice session I attended. Like Aldridge has good upside that could potentially be refined in juco. Jireh Washington – Memphis Central – 5’7 CG – When I first met Jireh 2 years ago, she was primarily a shooter. Her game has grown so much since then. She’s filled out some, gotten her handles tighter and her passing game has improved 10 fold. She’s a fairly complete player at this point but her recruiting hasn’t quite caught up to her ability. Still under the radar in many aspects. Johne Stewart – Memphis Central – 5’7 CG – Johne has some really big moments and does some amazing things. She can really elevate and stroke the perimeter jumper but it needs to be more consistent. Likewise she tends to coast at times one of the few reasons she’s not being recruited at a higher level. That said she has all the physical tools and plenty of skills too…handles, speed, athleticism. She’s a big time talent operating just under the radar of major D-1 programs. Sade’ Hudson – Trezevant – 5’7 CG – Seems like a lot of Memphis 2018’s are playing in situation where their recruiting doesn’t match their ability…Hudson is another one who has big time handles and deep range but is just an unknown name to many college recruiters. Unfortunately she plays in AA and doesn’t have much help on her HS team, but she has all the ability to be at minimum a mid major caliber player. 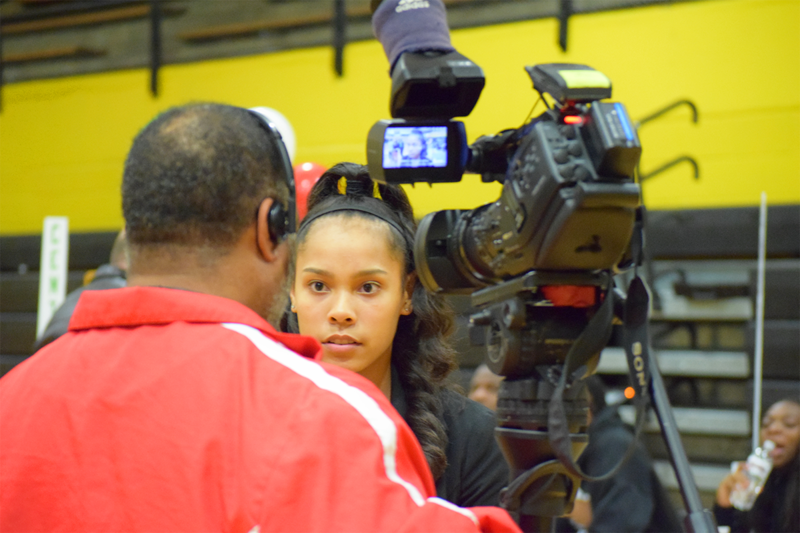 Annaliese Burnett – MHEA – 5’7 CG – A new name to me, and to most people I spoke to in Memphis. She had 35 points vs Central on a Thursday night scrimmage, torching the high octane Central defense in a variety of ways. She scored from deep but also had an array of moves around the basket including a nice Kyrie like move in the second half. Her ability to put the ball in the basket was uncanny. Lauren Taylor – Collierville – 5’9 WF – Explosive athlete who can score in a variety of ways, mostly a slasher. Scored both the game tying basket and the sudden death basket for the win versus Covington. Is being actively recruited by Memphis, Southern Miss and UT-Chatt. 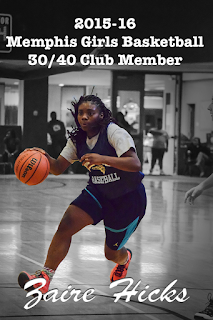 Alexis Taylor – Collierville – 5’6 PG – One of the true PG’s on our list from this weekend Taylor (no relations to Lauren), is a floor general with a good calming presence and the ability to run her team. It doesn’t hurt that she can shoot it a little bit too. Lamia Udley – Covington – 6’1 Post – Lamia is a raw athlete who has good hands and natural leaping ability. She’s a new name, since she hasn’t played AAU before but she’s a D-1 prospect for sure….just needs some polish and refinement to her offensive game. 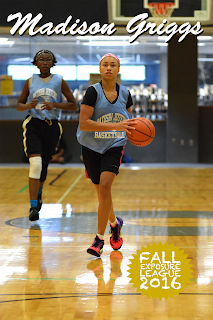 Tia Bland – Covington – 5’10 F – Bland is both an inside/outside threat with some slashing ability. She’s a good interior and hi-lo passer and works well with teammate Udley. She had one play where she caught back to the basket, reversed pivot, faced up and drove by her man from the block for an easy reverse layup. Another player who has upside and potential but has not played AAU before. Carria Smith – Germantown – 6′ Post – Carria is somewhat a newcomer to the game, she only started playing basketball in the past few years but her work ethic and attitude are pushing her to be one of the better post players in the area. She’s still got work to do, but when you are coachable and have ability there’s definitely upside. Liz Dixon – Ridgeway – 6’4 Post – Unbelievably skilled athletic post player who is already down to Baylor, Ohio State and few others. She’s spectacular around the basket where she rarely misses. Her issue this HS season is that the guards she plays with don’t have the ability to deliver her the ball each and every possession. She’s developing some perimeter game and she knocked down a few 15 foot jumpers which will help her for sure in the HS setting. 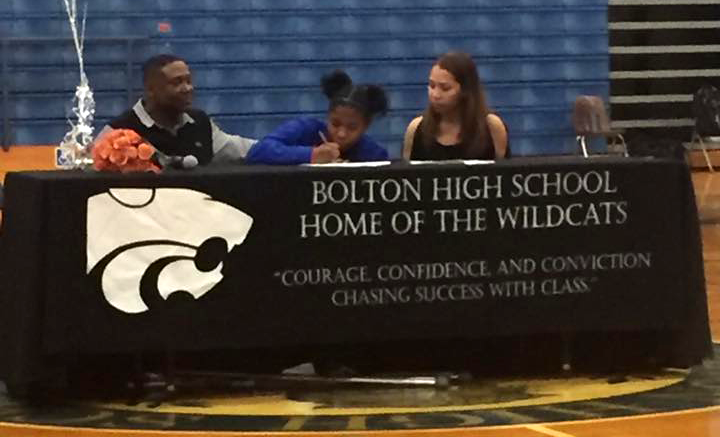 Kynadi Kuykendoll – Central – 5’7 PG – Clearly the vocal and inspirational leader at Central. No one plays harder and has a higher motor in Memphis than Kynadi does. She’s added a consistent 3 point jumper to her arsenal and should be consider a Power 5 level recruit. Madison Griggs – Houston – 5’7 SG – Another player who has steadily improved is Griggs. 2 years ago we met her at the Insider Exposure Jr. All-American camp and while she was impressive that day she’s only gotten better. Her jump shot is like her game, silky smooth. She play’s with a nice pace and the game looks easy to her at times, she moves so fluidly. 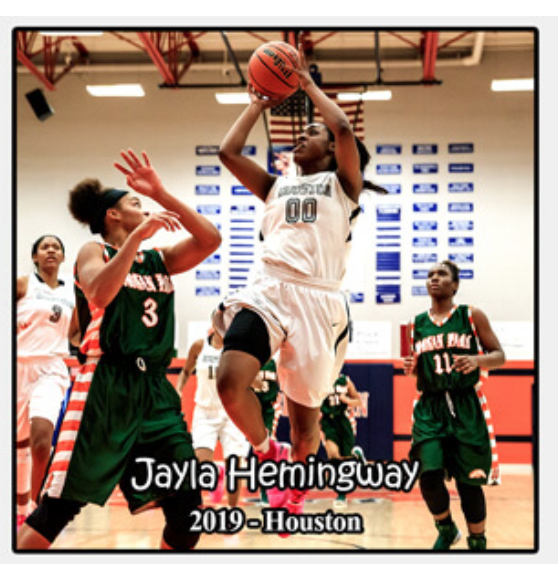 Jayla Hemingway – Houston – 5’9 PG – It’s easy to see why Hemingway is considered one of the top players nationally in 2019….she’s got an amazing frame, thick & strong enough to be physical, yet athletic enough to be explosive. She scores in a variety of ways and was active as a defender versus Bolton and Gibson County on Friday in Arlington. Melisa Carter – Houston – 5’10 Forward – Over the past 2 years Carter has become leaner and her sliming frame has given her the opportunity to become more of a perimeter player. For now though on a stacked Houston team, she still plays the role of physical rebounder and all around bruiser, which to be honest isn’t such a bad thing. She’s good at punishing opposing players and definitely has D-1 potential if she can keep her body going in the right direction. 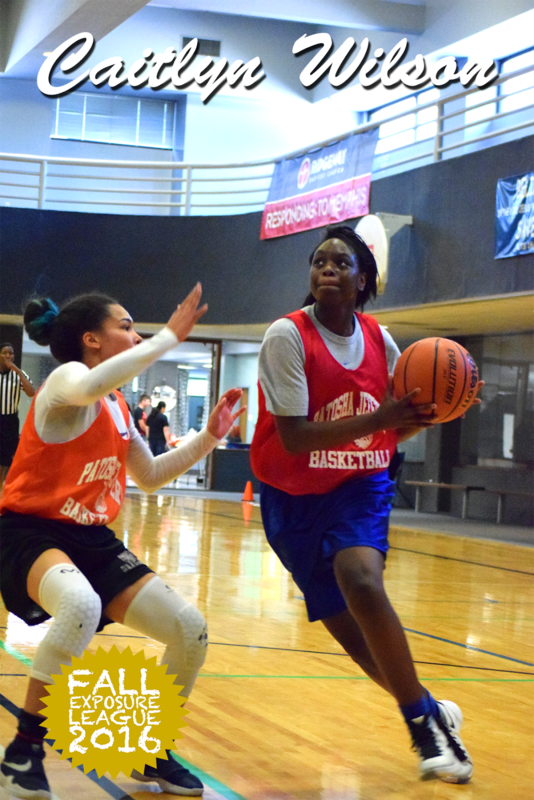 Vertonia Bady – Mitchell – 5’10 WF – Bady has good size and good leaping ability but what really makes her stand out is her ability to shoot the ball from 3 point range. She can really stroke it. She can also get to rim and finish offensive rebound put backs. Being an excellent volleyball player probably helps her timing. D-1 prospect. 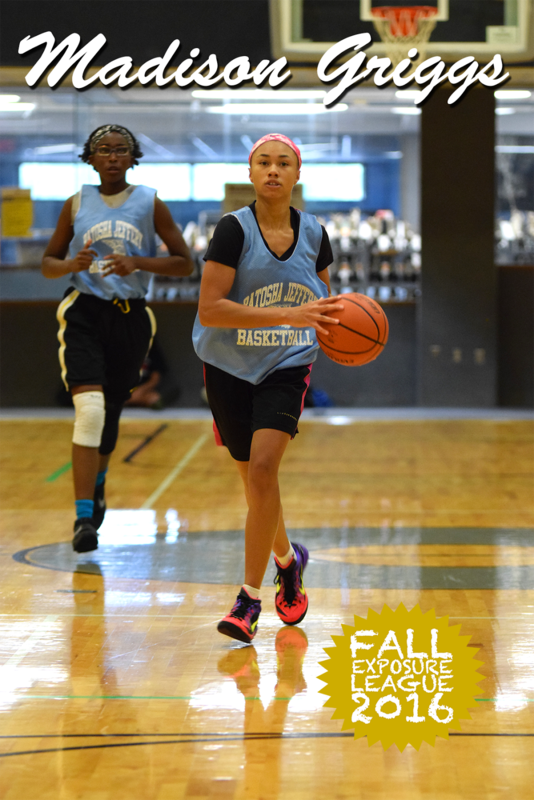 Keyanna Logan – Bolton – 5’3 PG – The speedy Bolton guard has so many things going for her including a great attitude and being a great teammate to go along with some blazing speed. She can also shoot the 3 ball when she gets hot. 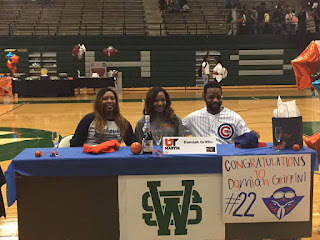 Destinee Wells – Houston – 5’6 PG – Did a great job running the Houston offense and understands how to play with some major talent without getting lost in the shuffle. She’s got handles and savvy to go along with some good confidence. Playing with Hemingway and Griggs the next few years shouldn’t hurt either. Ridgeway's Elizabeth Dixon has set some not-so-modest goals for the upcoming girls basketball season. "I want to average 25 (points), 20 (rebounds) and 10 (blocks)," she said. "I want to dunk." If the 6-4 Dixon does manage to throw one down in a game, she'll be the first girl in Memphis — and one of a few anywhere — to accomplish the feat. And it will also herald her arrival among the nation's best high school players, a distinction that looked unlikely just a few years ago. Thanks to diligent work with local trainer Scotty Mason and an impressive showing on the EYBL summer circuit playing for the Tennessee Flight, Dixon will open the year ranked 20th nationally in the class of 2018 according to ESPN HoopGurlz. During the most recent visiting period, the Dixon family welcomed parade of college coaches, all eager to get Elizabeth's name on a national letter of intent. As of early this month, Dixon's list included Ohio State, Florida State, Louisville, Kentucky, Tennessee, Baylor, Georgia Tech and Maryland. All the attention is causing her dad Richard to marvel at how far his youngest daughter has come. "All these coaches, they intimidate me," he laughed. "Who am I? This summer was like the Super Bowl but Liz was just fantastic, so relaxed. She was an animal, 10 blocks, 12 blocks every game. I don't know where this comes from. Dixon comes by her height naturally. Richard — who came to the United States from Nigeria to attend college before being "stranded" here — is 6-6 while her mom, also named Elizabeth, is 6-2. Brother Richard is 6-8 while another brother David, who also plays at Ridgeway, is 6-5. The ability has been well-earned though; Richard is an implementations engineer at FedEx and when it comes to sports, well, he plays like an implementations engineer at FedEx. "I can't run, I can't jump," he laughed. "I want to see the DNA because other than looking like me ... she can't be my daughter. "Four years ago, she couldn't bounce the ball. We brought her to Scotty and he said 'trust me with this girl. In time she will be a tough player.' I call Scotty the miracle worker." Mason — who has worked with a host of talented players from Jarvis Varnado and Randy Culpepper to current high school standouts Myah Taylor of Olive Branch and T.J. Moss at East — said his goal is to get Dixon to maximize her full potential. And not just as a tall presence in the paint. Instead, he envisions her as a well-rounded performer who can shoot from outside and the handle the ball just as easily as post up. Combine that with her size and you have a nightmare for opposing coaches. "She's a difference maker because at 6-5 ... she's so athletic. 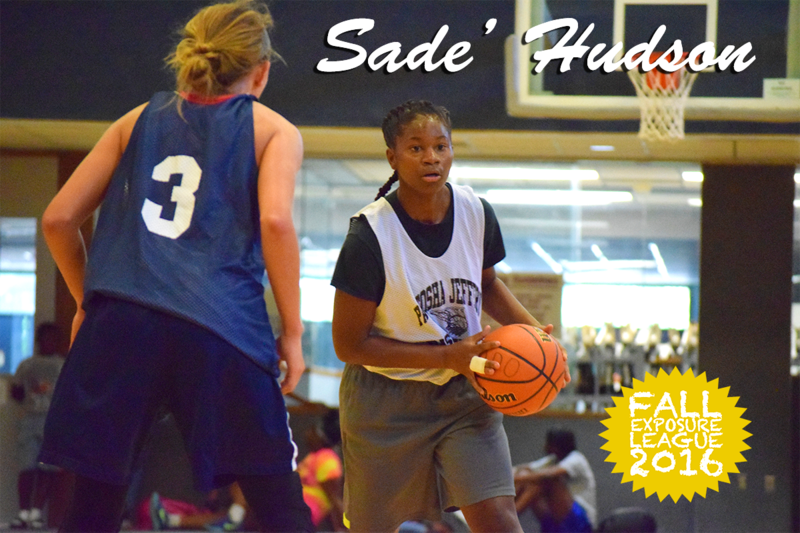 The women's game is getting more skilled and with her size and explosiveness, she'll be perfect for a high-major (school). She has everything you look for." Elizabeth's Twitter profile says she's "probably in the gym right now" and the work is starting to pay off. "I worked eight hours a day over the summer," she said. "At first, I was nervous playing with Tennessee Flight but I had a lot of fun. It was a good summer." Said Mason, "The key with Liz has been taking different approaches. Skill work and also videos and researching the history of basketball. It's a little bit of everything. She wants to get better. She wants to be the best player in the world." And she's been soaking up knowledge from the best players in the world. "I watch videos of Tim Duncan for rebounding," she said. "Karl Malone for running the floor and Kobe Bryant and Michael Jordan for their quick decision-making. Candace Parker. But really anything to help me get better." This year, Dixon will be the focal point on a Ridgeway team that has lost of ton of senior talent over the last two classes. Her play will be vital of course but so will her leadership, something she's not had to do just yet. "Being vocal is going to be harder," she said. "I'm not used to it but I'm going to have to step up." Off the court, Dixon is an A student who tackles her academic responsibilities with the same diligence she brings to the court. It only takes a few minutes of talking to Richard Dixon to see how proud he is of her. And how amazed he is by her success to this point. "In Africa we say, 'it takes a village' but I appreciate the American system too," he said. "At the Nike Nationals I was like 'please, don't kill her.' The other girls ... they were a tough bunch. It was a baptism of fire. But she dominated." We will be kicking off the Spring with an Extraordinary Skill Development Camp!!! Center Hill (54) — Danielle Hopkins 12, Kaylen Morris 2, Jada Sprott 16, Courtney Craine 2, Kerrigan Kneeland 10, Victoria Dailey 12. Bartlett (57) — Toni Green 18, Mackenzie Chandler 4, Madelyn Anguiano 2, Kiya Sidney 7, Teaya Reaves 1, Molly Word 2, Kennedy Crawford 5, Ashley Payne 18. Records — Center Hill 0-2, Bartlett 1-0. Trezevant (41) — Brandy Shannon 13, Sade Hudson 18, F. Quinteria 3, Emma Jackson 2, Kiara Dale 3, Kearra Tucker 2. Briarcrest (52) — Brianna Pope 2, Caitlin Hunt 7, Taylor Clemons 12, Morgan Hunt 12, Savanna Owens 8, Anne Marie Hays 5, Vi Stuart 4, Alex Tiatia 2. Records — Trezevant 0-1, Briarcrest 1-0. Westminster (53) — Leah Campbell 9, Laurel Martens 17, Emily Carney 2, Ashton Storey 25. FACS (50) — Willard 11, Youd 12, Brooks 4, Spain 14, White 5, Reed 4. Records — Westminster 2-0, FACS 0-1. St. Benedict (44) — Catalina Carrasco 2, Kristina Ferris 21, Myah LeFlore 19, Katherine Vassallo 2. Houston (77) — Jayla Hemingway 28, Rochelle Lee 6, Sammiyah Hoskin 4, Shaela Gardner 6, Madison Griggs 15, Destinee Wells 7, Melisa Carter 8, Shannon Sharp 3. Records — St. Benedict 0-1, Houston 1-0. Fairley (27) — Denisia Williams 8, Dahja Caspillian 8, Diamond Douglas 11. Hutchison (53) — Kerrigan Braxton 8, Macy McCullough 5, Jordan Groover 11, Madison Moore 2, Sara Kate Hopper 4, Carmyn Harrison 2, Kaia Barnett 11, Catey Nelson 8, Mary Chapman Morrow 2. Records — Fairley 0-1, Hutchison 1-0. MHEA (35) — Gigi Lewis 10, Annalissa Burnett 4, Kamille Clark 2, Scarlett Guess 2, Lindsey Vaughn 14, Kylie Loadholt 3. Munford (52) — Shania Johnson 9, Johnna Jones 9, Kennisha Mason 8, DeAsha Banks 4, Gabby Crawford 22. MAHS (55) — Alexis 11, Echols 9, Gary 27, Jett 4, Owens 4. 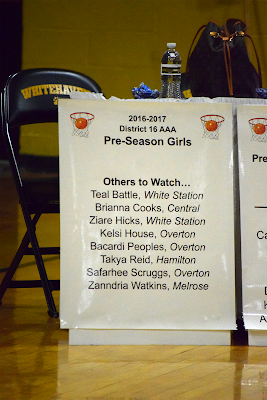 Overton (51) — Bacardi Peoples 8, Safharee Scruggs 13, Jasmine Beason 2, Charnita Brooks 11, Kelsi House 6, Micah Calvin 3, Sabrina Harrold 8. Records — MAHS 1-0, Overton 0-1. Macon Road (41) — Howlett 14, Lutz 3, Smith 12, Allen 4, Fuqua 8. Rossville Christian (29) — Mary Chandler King 2, Hannah Hurdle 8, Madison Anderson 10, Alyssa McCandless 5, Brianna Bing 4. Records — Macon Road 1-0, Rossville Christian 0-1. MASE (25) — Starnes 5, Mitchell 4, Henderson 9, Spencer 5, Foster 2. St. Agnes (53) — Mary Beth Siano 2, Rachel Siano 2, Haley Mills 2, Caroline Pietrangelo 15, Lauren Lewis 7, Amelia Wigley 5, Marissa Lewis 4, Lauren Ryan 1, Olivia Berntson 10, Jordan Kleber 5. Records — MASE 0-1, St. Agnes 1-0. Fayette Aca. (26) — Lauren Lessel 4, Chloe Burnette 3, Megan McClure 7, Alex Wadley 6, Emily Hunt 4, Anna Redman 2. Harding (64) — Jacaila Davis 5, Hadley Horner 15, Carley Rhoads 8, Sage Hawley 10, Alexandria Ellis 10, Antoinette Lewis 16. Records — Fayette Aca. 0-1, Harding 1-0. W.E.B. DuBois (59) — A. Acoff 27, M. Acoff 13, D. Nelson 19. Records — W.E.B. DuBois 1-0, Oakhaven 0-1. POPOTV: One of the most passionate and unselfish players in the Memphis area 6'0 Forward Lanyce Williams talks about her emotion on the floor and her father's influence on her game. 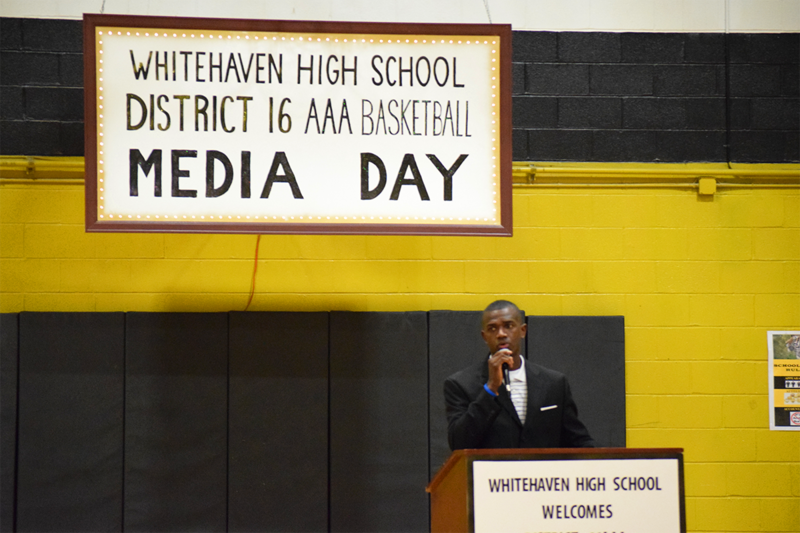 Whitehaven hosted the Inaugural 16AAA Media Day on Wednesday night. It was an awesome environment for the young men and women to experience a college/professional-like event and practice communicating with the media. 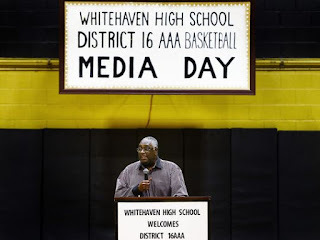 Legendary junior college basketball coach Verties Sails speaks during the first annual District 16 AAA basketball media day at Whitehaven High School on Wednesday, Nov. 9, 2016. John Anderson Jr. is right at home on the basketball court. But the Central High junior also looked pretty comfortable in the media spotlight. Anderson was one of several local standouts who took part in the first District 16-AAA Media Day event Wednesday at Whitehaven. And if speaking to reporters was something unfamiliar to him, it didn't show. "I feel equally comfortable doing both," he said. "On the court, we're always going 100 miles an hour, ... but this is a great experience. It will help us be able to tweak the small things and see where we can get better." 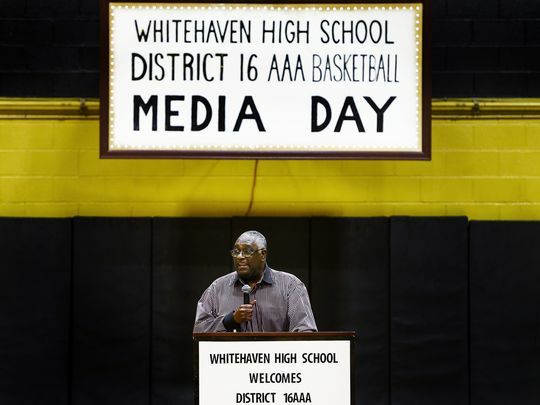 The event was the brainchild of Whitehaven coach Faragi Phillips who described it as a way to help players get prepared for the media demands they'll face in college. "I was talking with some of my players and found that sometimes it's difficult for them even to make eye contact," he said. "It just comes with experience; the more you do something the better you will become. I think this is a good motivator for them." As with any media day, there was lots of prognosticating going on. Defending state champion East — which was voted No. 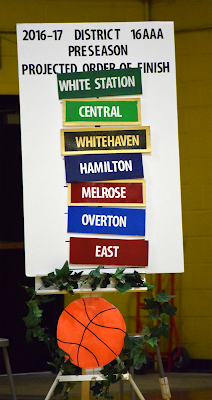 3 nationally in the CBS/MaxPreps preseason top 25 earlier in the day — is the favorite to take the boys championship, followed by White Station, Central, Whitehaven, Hamilton, Melrose and Overton. 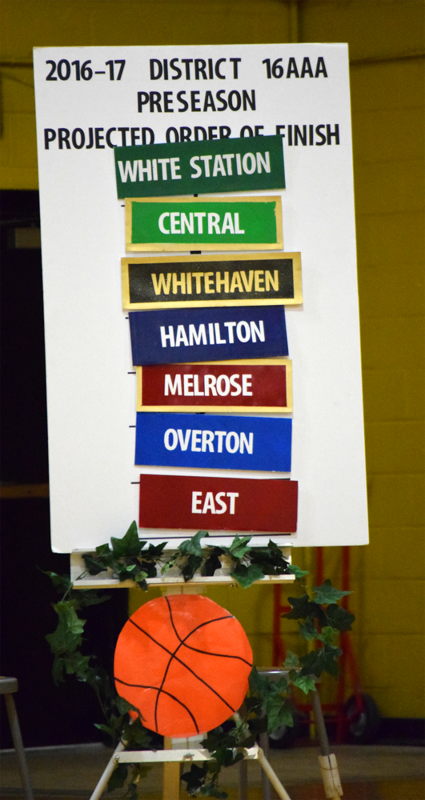 A revamped White Station team got the nod as the preseason girls' favorite ahead of state semifinalist Central, Whitehaven, Hamilton, Melrose, Overton and East. "It's a big honor, but the games haven't been played yet," said Spartans coach Tommy Warren, whose strong class of returnees will be bolstered by the addition of transfers Teal Battle and Zaire Hicks. "Teal and Zaire ... it's like they've been here all along. I'm just the conductor, trying to make sure we play some beautiful music." East's Alex Lomax — the reigning Mr. Basketball — was named preseason player of the year. 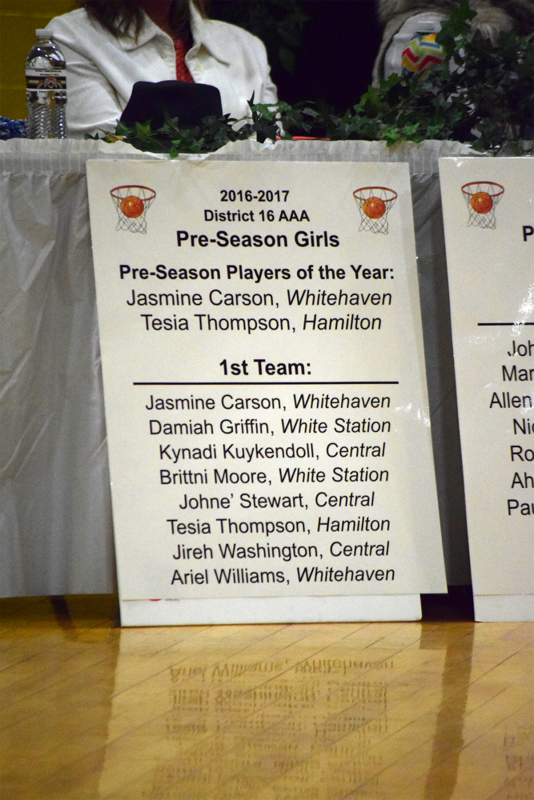 Whitehaven's Jasmine Carson — who has transferred from Central — and Tesia Thompson of Hamilton are the girls' player of the year choices. But regardless of where they were predicted to finish, the players seemed to relish the opportunity to talk about the upcoming season, which begins Monday with Hall of Champions games around the city. "Our school is legendary," said White Station's Allen Hatchett. "We've had some off (seasons), ... but that hardship has brought us closer together." Another program that has slipped a bit in recent years is Hamilton, but Kevon McMahon said it would be a mistake to discount the Wildcats. "Since we were ninth-graders on the state championship team (in 2015), we know what it takes to compete," he said. "Being picked fifth just motivates us to go out and prove the doubters wrong. The outcome is the outcome; we're just ready to go out and play." The Spartans have never made the final eight of the Tennessee State 3A playoffs but a lineup filled with seniors with Division I offers gives them a good chance to get that done come March. 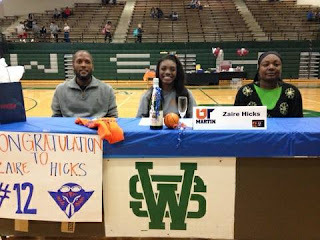 Tennessee-Martin senior commits Damiah Griffin (5-11 small forward) and Zaire Hicks (5-9 point guard) should lead the way. Quential Battle (6-2 power forward, committed to Arkansas Little Rock) and Taylor Williams (5-8 shooting guard committed to Mississippi Valley State) should also contribute. In his second year as Spartans coach, Tommy Warren will challenge his squad by playing in the Tennessee Turkey Jamm in November and heading out of state to events in Mississippi and Ohio in December. 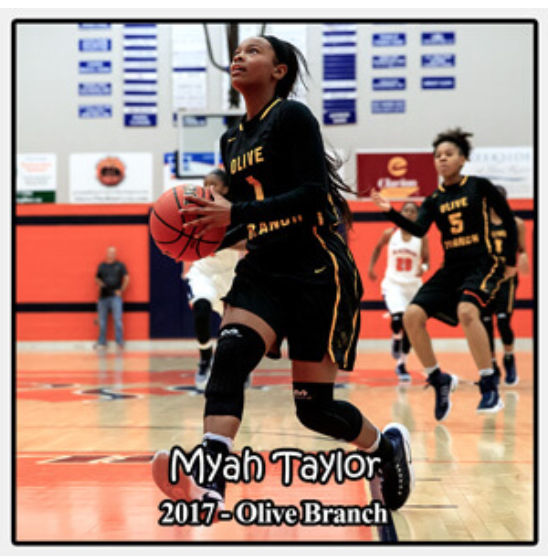 Olive Branch reached the second round of the state playoffs before being eliminated by Starkville, but it returns the state's top player in Myah Taylor. 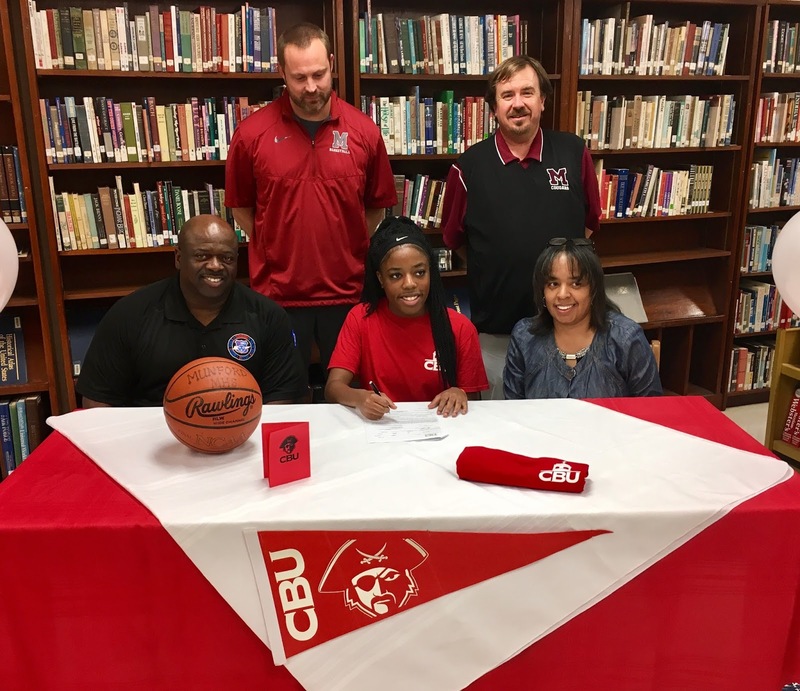 A 5-foot-7 point guard, Taylor earned All-State honors last year by the Clarion-Ledger after averaging 26.1 points per game to go with seven assists and 5.8 steals. Mahogany Vaught, a junior guard, also returns after averaging 16.4 points, 3.5 assists and 3.9 steals.